People who don’t get paid to write often look upon those of us who do as some sort of magician with quills who can throw out perfect sentences with just the right wording on a whim. I’m here to tell you, it’s not that easy. Some days, it’s a struggle just to put together cohesive sentences. Most days, I rely on a lot of helpful resources to get me through to the next writing task. For those of you who aspire to become wordsmiths or even for the ones who just want to improve your writing skills, I’ve compiled a list of the online tools, sites and apps that inspire me, prevent writer’s block and keep me looking like the polished writer that I am. Google—I know it’s obvious, but seriously, Google makes you smarter—or at least sound that way. Wikipedia—Get the real story behind almost anything you can think of—with sources included. Medium—A great place to read what other writers are saying and to gain inspiration. Pinterest—Believe it or not, I find info about everything from social media to blog writing here. Reddit—This place is a treasure trove of information on about any subject, but it’s best for current and trending news and data. 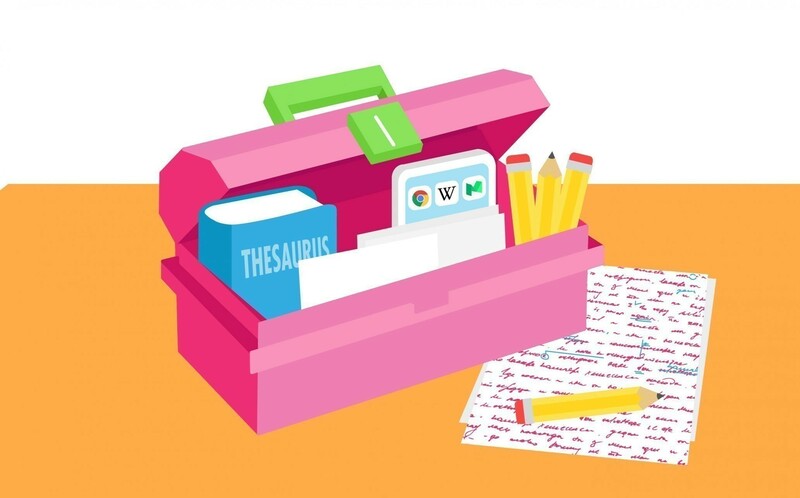 Thesaurus.com—When the right word is on the tip of your tongue but you can’t spit it out, find it here. Purdue Online Writing Lab—Get your questions on AP Style answered quickly. WikiHow on Punctuation—Check the Cheat Sheet on Punctuation for quick answers on colon and semicolon usage (I admit, I still have to look it up sometimes). Hemingway App—Curb the use of passive voice and find lengthy sentences with this app. Writing Explained—Get help with confusing words and various writing styles. Emotional Marketing Headline Analyzer—Reach your customers in a deep, emotional way with just the right headline. Get Plain Text (Mac App Store)—This app strips out any formatting when you cut and paste, leaving you with plain text. Grammarly App (for Chrome)—Finally, an app that checks your grammar as you type in all sorts of other apps including email. Congratulations! You’ve hired an expert marketing agency to take over design, creative and copywriting work for your brand. Want to make the most of your investment? Trust them to do what you’ve hired them to do.